In their introduction, TIME magazine described j-hope's mixtape with the following description: "The mixtape opens with an adventure inspired by Jules-Verne, then delves into his personal reflections on fame and success, anthems for positivity and party tracks, all layered over a mix of instantly catchy trap, dance and tropical beats." When asked about inspiration from other artists, j-hope replied pensively, "I actually don't preoccupy myself with 'I'm going to do this kind of rap in this kind of genre' kind of thinking when I work. I went with and got my beats from what appealed to me, what drew me in and what felt good. The way I work is very on-the-spot flow, and I write the rap and the music as I feel them coming. I drew inspiration for this mixtape from artists like KYLE and Amin�. I also have to mention the heavy influence of Joey Bada$$. These are all artists I highly respect, and I'd love to do projects with them in the future." 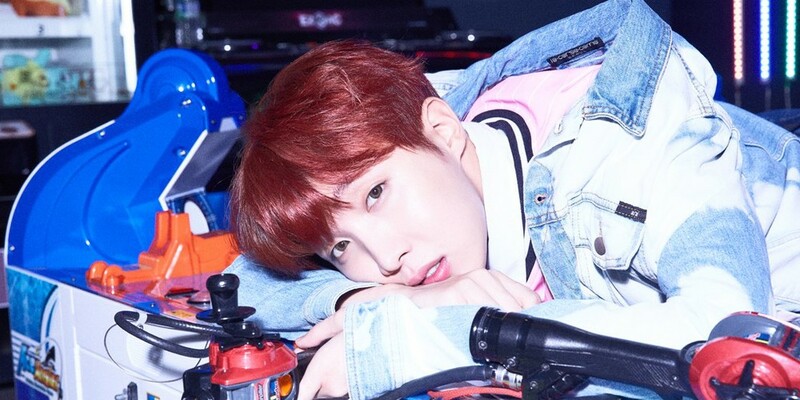 The interview delved into individual tracks from 'Hope World', ranging from the title track, to "Hope World", "Piece of Peace", "Airplane", and "Base Line". Toward the end of the interview, j-hope also revealed some good news with, "Right now, we're all focused on the new BTS album". Check out the full interview�here!